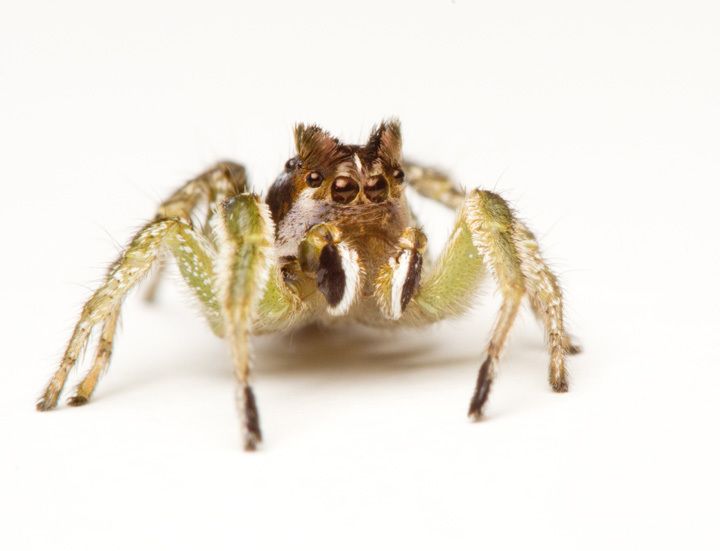 The photos I took Sunday of the pretty Habronattus males were fun and effective because of their simple composition. This is not a difficult look to achieve, and only requires a diffused flash and a white surface. This is a technique I use often as a shortcut to isolate a subject, and it looks pretty nice! For these shots, I was shooting on a white formica table, but I have used just a blank sheet of typing paper as well. 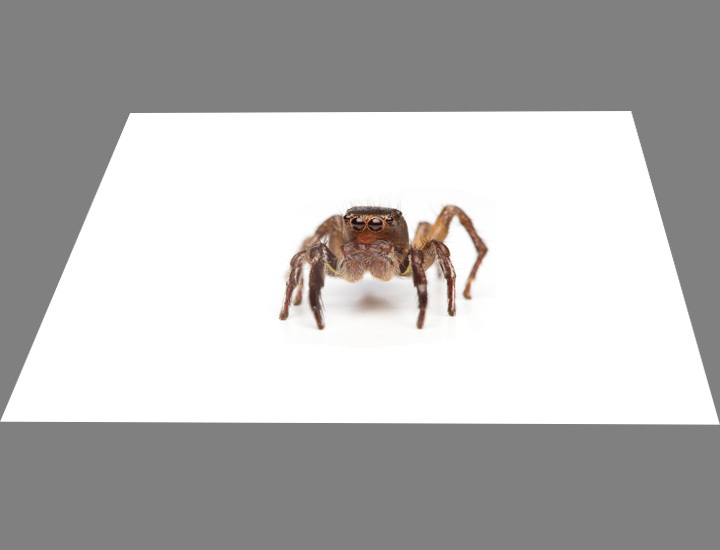 I just placed the spiders on the table, brought in a diffused flash (YN-560 with the Cheapskate Diffuser Mk II) at 1/8 power, and blasted away at ISO 250-320 at f13. 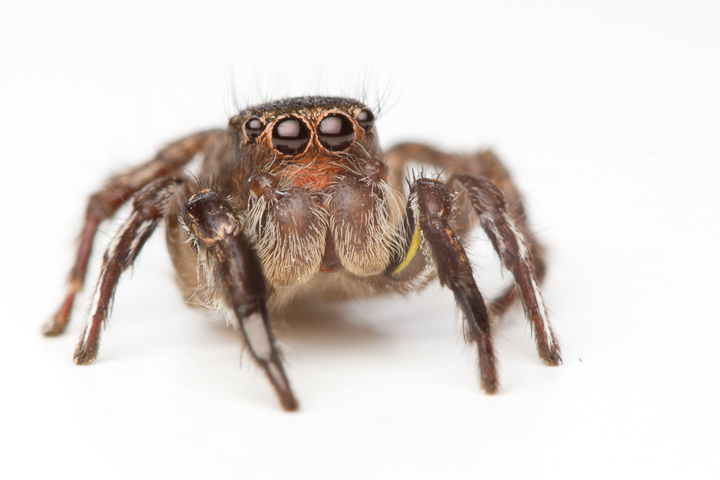 I used a 100 mm macro lens with 37 mm of extension tubes. The exposure I brought up in post so that most of the background goes to white (overexposed on all channels) then reigned in the subject using the blacks slider in Adobe Camera Raw. Often using this technique I get loss of contrast due to the light reflecting off the large white surface directly at the front element, but so long as it is not to severe, this can be brought back in post. Setup: white sheet, attractive subject, blast light from your favourite angle! Done! While environmental portraits showing the habitat or behaviour are great and something to work at, you can try this as an easy way to document a subject in isolation when you need a good quality image. The way I look at it is as a convenient visual shorthand that conveys the physical appearance of a subject with no distraction, much in the same way that fashion photographers or catalogue photographers use the same technique. 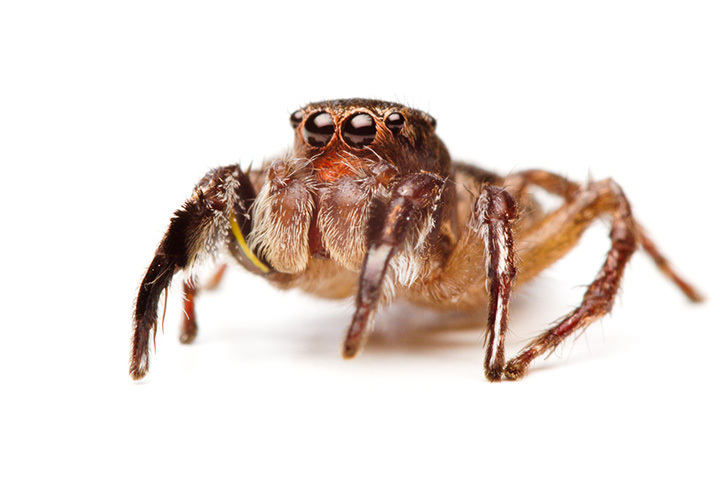 I used this to add some good images of Habronattus ophrys (which is very difficult to shoot in situ) to bugguide.net. 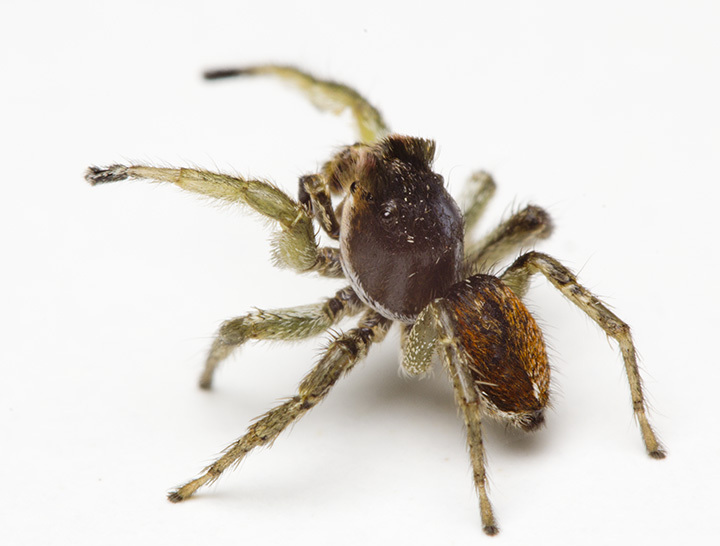 I think they turned out nicely, and show how beautiful some of our local spiders can be. What do you think? Thanks! I think I will have to go out and visit Iona again a few more times, and soon! There is also a whole world of Bembix, tiger beetles and the like out in the dunes.